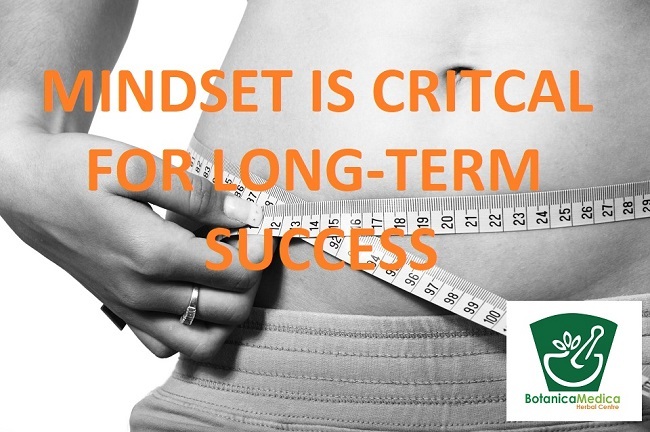 Behavioural change is a prerequisite for successful weight loss. Implementing dietary change, calorie restriction, effective exercise, and even attending regular Practitioner visits, all require patients to form new habits. Navigating these behavioural changes can be one of the most challenging aspects of weight loss for patients and Practitioners alike. Fortunately, the Shake It Practitioner Weight Management Program incorporates evidence-based techniques and clinical tools you can use to help your patients to change their behaviour and achieve healthy, sustainable weight loss. Having goals to strive towards energises patients to modify their behaviour and make healthier decisions, inspiring continued effort and tenacity.5 Help your patient set goals that are SMART (Specific, Measurable, Attainable, Relevant, and have a Timeframe); they specify what a person will do, when, where, and for how long.6 They also provide a yardstick with which to measure behaviour and progress,7 making it easier to identify whether the patient is on track to achieve their goals. Setting specific weight8 and physical activity goals9 is associated with better weight loss outcomes. A study of members of a commercial weight loss program found that those who set weight loss goals were 10 times more likely to lose a clinically significant 10% of their initial body weight.10 Interestingly, those who set more ambitious weight loss goals (20-30% of initial body weight) lost more weight than those who did not, regardless of whether they met their goal within the proposed timeframe (on average, they lost nearly 20% of their initial weight at 12 months’ follow-up).11 This considered, patients, especially those who are obese or young,12 may benefit from setting a greater number of smaller and more achievable goals (in additional to their ultimate weight loss goal). Collaborating with the patient when setting and tracking goals helps celebrate the small successes along the way, fostering ongoing patient motivation. Mindfulness can also form part of a self-monitoring regime, with the added benefit of reducing the negative effects of stress on weight. Mindfulness is the process of focusing attention on the present moment and approaching thoughts, feelings and bodily sensations with an attitude of curiosity and acceptance.17 Practising mindfulness can strengthen a patient’s connection with their own hunger and satiety cues, reduce stress-related eating (e.g. in response to cravings), and help establish a new relationship with food,18 assisting patients with weight management. For more information on how to support your patients with problem-solving, refer to the Behavioural Change Guide, found within the Shake It Practitioner Weight Management Program Clinical Guide. The Behavioural Change Guide is an invaluable resource for Practitioners that outlines goal-setting, mindfulness, self-monitoring and other strategies you can use to support your patients to achieve successful weight loss. In addition, sign your patients up for ‘Your Shake It Journey’ a series of helpful, automated emails that inspire and educate them on how to navigate the behavioural changes associated with weight loss (as well as nutritional and exercise related content). Regular and frequent Practitioner support, namely weekly to fortnightly contact for the first six months, is vital for successful weight loss. In contrast less frequent contact (≤ 1 visit per month) is not associated with clinically significant outcomes.23 In line with research,24 weekly contact is recommended for at least the first 24 weeks of the Shake It Program – providing you with an opportunity to connect with patients, monitor progress and provide comprehensive support at an instrumental time of their weight loss journey. Alternating face-to-face with phone or electronic communication allows the optimal frequency of contact without impinging on busy schedules. Regular clinical contact facilitates Practitioner monitoring of patients’ body composition during weight loss and maintenance. As part of Metagenics Vitality, Longevity and Healthy Ageing program (VLA), VLA Quadscan uses bioelectrical impedance analysis to quantify cellular health. It enables you to accurately monitor patients’ fat mass, muscle mass, and fluid as well as phase angle and other parameters to ensure they are experiencing healthy weight loss. Understanding specific changes to body composition not only helps keep patients motivated; it also allows you to tailor their treatment plan (e.g. by ensuring they maintain lean muscle mass with adequate protein intake and resistance exercise) to ensure each patient achieves their goals while preserving their long-term health. With the help of evidence-based behavioural techniques such as goal-setting, self-monitoring, problem-solving and with regular Practitioner support, you can help your patients achieve lasting, healthy weight loss. From the Shake It app, to ‘Your Shake It Journey’, to tracking patients’ results using VLA, the Shake It Practitioner Weight Management Program provides you with the tools and techniques you need to get great results for your patients. Field AE, Inge TH, Belle SH, Johnson GS, Wahed AS, Pories WJ et al. Association of obesity subtypes in the longitudinal assessment of bariatric surgery study and 3‐year postoperative weight change. Obesity. 2018 Dec;26(12):1931-1937. Hege MA, Veit R, Krumsiek J, Kullmann S, Heni M, Rogers PJ, et al. Eating less or more – mindset induced changes in neural correlates of pre-meal planning. Appetite. 2018 Jun 1;125:492-501. Dailey RM. Strategies in context: how perceptions of romantic partner support for weight loss vary by the relational context. Health Commun. 2018 May 3:1-12. Dailey RM. Strategies in context: how perceptions of romantic partner support for weight loss vary by the relational context. Health Commun. 2018 Apr 29:1-2. Wadden TA, Webb VL, Moran CH, Bailer BA. Lifestyle modification for obesity: New developments in diet, physical activity, and behavior therapy. Circulation. 2012;125(9):1157-1170. doi:10.1161/CIRCULATIONAHA.111.039453. Burke LE, Wang J, Sevick MA. Self-monitoring in weight loss: a systematic review of the literature. J Am Diet Assoc. 2011 Jan;111(1):92-102. doi: 10.1016/j.jada.2010.10.008. Kelley CP, Sbrocco G, Sbrocco T. Behavioral modification for the management of obesity. Primary Care. 2016;43(1):159-175. doi:10.1016/j.pop.2015.10.004. Bishop SR, Lau M, Shapiro S, Carlson L, Anderson ND, Carmody J,et al. Mindfulness: A proposed operational definition. Clin Psychol Sci Pract. 2004 Sep;11(3):230-41. Carrière K, Khoury B, Günak MM, Knäuper B. Mindfulness-based interventions for weight loss: a systematic review and meta-analysis. Obes Rev. 2018 Feb;19(2):164-177. doi: 10.1111/obr.12623. Alamuddin N, Wadden TA. Behavioural treatment of the patient with obesity. Endocrinol Metab Clin North Am. 2016 Sep;45(3):565-80. doi: 10.1016/j.ecl.2016.04.008. Perri MG, Nezu AM, McKelvey WF, Shermer RL, Renjilian DA, Viegener BJ. Relapse prevention training and problem-solving therapy in the long-term management of obesity. J Consult Clin Psychol. 2001 Aug;69(4):722-6. PMID: 11550740. Tsai AG, Remmert JE, Butryn ML, Wadden TA. Treatment of obesity in primary care. Med Clin North Am. 2018 Jan;102(1):35-47. doi: 10.1016/j.mcna.2017.08.005.